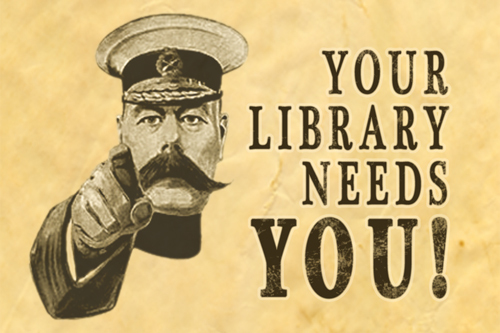 Your library needs you! If you would like to be involved in some of the activities that we run at Derwent Valley BRIDGE we would love to hear from you. At the moment we particularly need volunteers to help run our children’s activities which include weekly (during term time) sessions of Storytime, holiday activities at Easter and during the summer and a Halloween party. We would also like to have some extra help with cleaning – a very valuable activity as it makes sure that there is a pleasant environment for library users and volunteers. If you like working outdoors we can always benefit from extra pairs of hands to develop and maintain our award winning garden. If you are interested in any of these opportunities then please come into the library or telephone to request an application form. More information and the forms can be obtained from Derwent Valley BRIDGE Library 3 Pickering Road, West Ayton. Telephone: 01723 863052.